Poland coach Jerzy Brzeczek said that his players are ready for the game against Portugal counting for the Nations League. He said that his players are motivated and want to win their first game since the 1-0 victory against Japan in the last World Cup. Poland has been beaten by Denmark by 4-0 in their World Cup qualifying match. This allows Denmark to maintain their hope of qualification alive and put pressure on both Poland and Montenegro. Denmark started the match the better under the influence of Tottenham Hotspurs midfielder Christian Eriksen. The latter managed to find Thomas Delaney on a corner and Delaney managed to open the scoring for his team with a powerful header. Denmark will continue to dominate the game and will create opportunities one after another. Denmark will add a second goal in the 42nd minute. Again it will be Christian Eriksen who will be the architect of the goal with a wonderful cross that will be met by Andreas Cornelius. His powerful shot will give the Poland keeper Fabianski no chance. 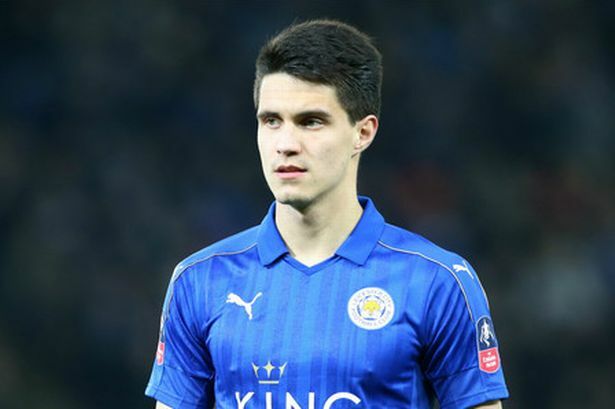 Premier League side Leicester City are set to release its player BartoszKapustka to Bundesliga side Freiburg on a loan deal, according to reports. The Poland international is in Germany for medicals ahead of the season long loan deal. Kapustka did not make any appearance in the Premier League last term so the Foxes are expected to sanction the move to the German club. The 20-year old is not being considered for the first team so the loan is thought to be in order. The player was signed by former manager Claudio Ranieri for A?2 million after he impressed at the European Championships for Poland. Ranieri felt he needed further development so he was mostly with the feeder team. Poland has reached a new high in the FIFA World Rankings. For the past few years, Poland has been flying high with a number of memorable performances in various international competitions. During the 2016 UEFA EuroA?s, Poland reached the quarter-finals which they had never done before in their entire history as a national football team. Poland was able to defeat Northern Ireland and Ukraine in the group stages while also settling to a goal-less draw with Germany. The Polish squad essentially finished undefeated throughout the group stages and rightfully earned their ticket to the round of 16 for the 2016 edition of the UEFA EuroA?s. Adam Nawalka and his squad would later go on to play against Switzerland and defeat them in a penalty session before eventually losing to Portugal in the quarter-finals. 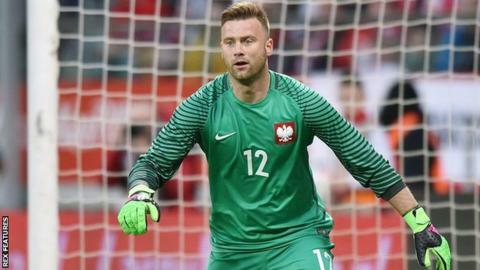 Poland international goalkeeper ArturBoruc has announced his retirement from international football. The player who currently plays for English Premier League side Bournemouth said that he believes that this is the right time for him to retire from international football as he wants to focus on his club football at the moment. Boruc who is now 37 years old is the most capped goalkeeper for Poland and has participated in major tournaments with the national team in the 2006 World Cup and the Euros 2008. He said that he feels that at this age he needs to rest a bit more and retiring from international football will allow him to focus more on his Bournemouth career. Poland international, Robert Lewandowski has signed a contract extension at Bayern Munich that will keep him at the Bundesliga giants until 2021. The Bayern Munich star, who signed for Bayern from Borussia Dortmund in 2014, has scored 86 goals in 122 games for the club. The striker has scored 19 goals so far this season. Bayern Munich are currently top of the German Bundesliga and are nine points ahead of bitter rivals, Borussia Dortmund. They are currently bidding for a record-breaking fifth consecutive league title. They are also in the Round – Of a�� 16 of the Champions League where they will come up against English side, Arsenal. a�?I am very happy that the negotiations were successful,a�? Lewandowski said. a�?It means I will stay at Bayern for a few more yearsa�?. The Eagles of Poland lost their forward Arkadiusz Milik to a knee injury encountered during their World Cup Qualifier victory against Denmark early this month in Warsaw, Poland. The Polish football federation declared that the Napoli forward will probably go for surgery after experiencing a critical damage in the anterior cruciate ligament in his left knee during Poland’s 3-2 victory against the Danish Dynamite. 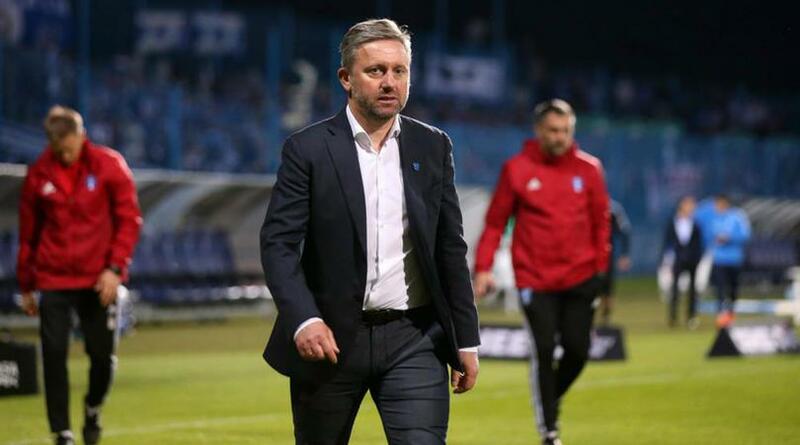 Following what was considered to be an impressive and successful run in the 2016 UEFA Euros, the head coach of the Poland national football team, Adam Nawalka earned himself a contract extension with the national side which will be keeping him in charge of Poland until 2018, more specifically until the end of the 2018 FIFA World Cup qualifications. Poland reached the quarter-finals of the 2016 Euros and this is the best run that the Polish national team has even performed in this international competition and its because of this memorable accomplishment that Adam Nawalka got offered a further stay in the national side. The next task of Adam Nawalka is to propel Poland into the 2018 FIFA World and in order for this to happen; Poland will first have to actually qualify for the upcoming worldwide tournament which is something that the Polist national side has been struggling to do for the past few years. The Poland national football team did not qualify for either the 2010 edition or the 2014 FIFA World Cup but Adam Nawalka is aiming to change things around in favor of Poland. This is definitely a good time for Poland as they have reached the knockout stages for the first time of a European Championship. They finished in the second place in Group C as they beat their opposing team Ukraine. There were two chances early on that the team was unable to avail of but the effort they made towards the later stage of the game was fruitful. Their opponent team Ukraine has been already out of the game, but they did put in an effort which went wide. Jakub on the other hand, put in a shot with his left foot, which was done 54 minutes into the game. That helped to catapult their team into the next round of the championship. Now they would be facing Switzerland as they gear up to be part of the 16 teams. Their next match is on Saturday. Poland has released the names of the players that will be involved in the Euros finals in the summer. This is a preliminary squad of 28 players, and the coach will have to reduce it to 23 players before the end of May. Poland manager Adam Nawalka believes that he has made the right choice as he chose the best player that is currently available to him. He said that he had analyzed each playera��s performance not only with the national team but also with their respective clubs. 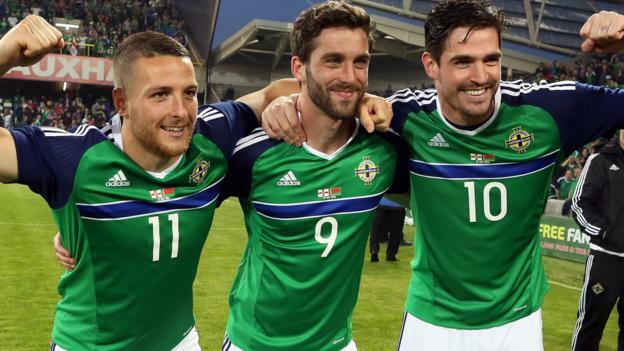 He believed that he had made the best possible choice and that they will be able to perform at the Euros.